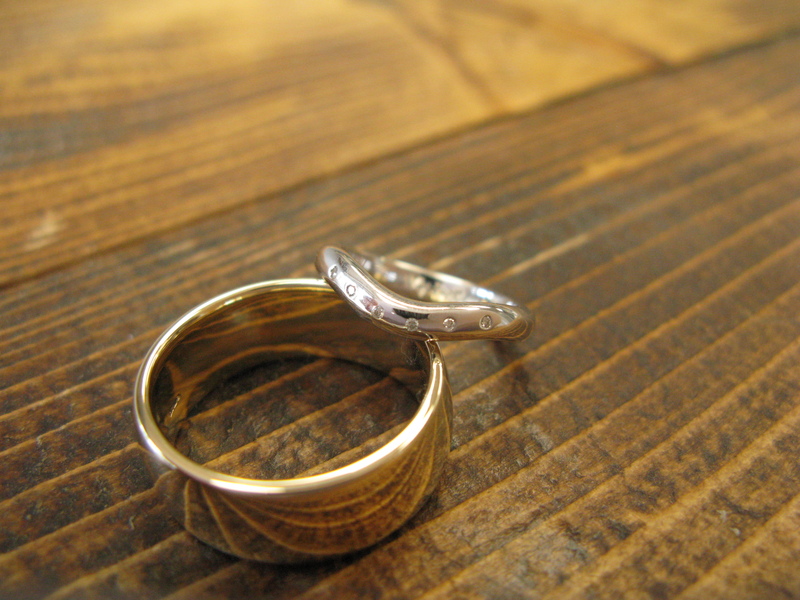 Fill in the form on the Make Your Own Wedding Ring page. How long do the rings take to make? 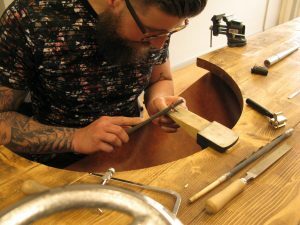 It depends on what style and material you choose but we run our ring-making experience from 10:30am to approximately 3.00pm to give you the best possible amount of time and to make sure you are entirely happy with your ring. Can we take them straight home? No, we will present them to you but they will need to be sent away to be hall-marked officially, which can take about a week so you need to factor this time in when making your wedding plans. All our rings come with free resizing, free polishing and free rhodium plating (for white gold) for life. So no matter what happens in life, you can keep your ring looking as special as it did on your wedding day. Just let us know what you need and we'll get it done. Can we get our rings engraved? Yes, all our rings come with free engraving. 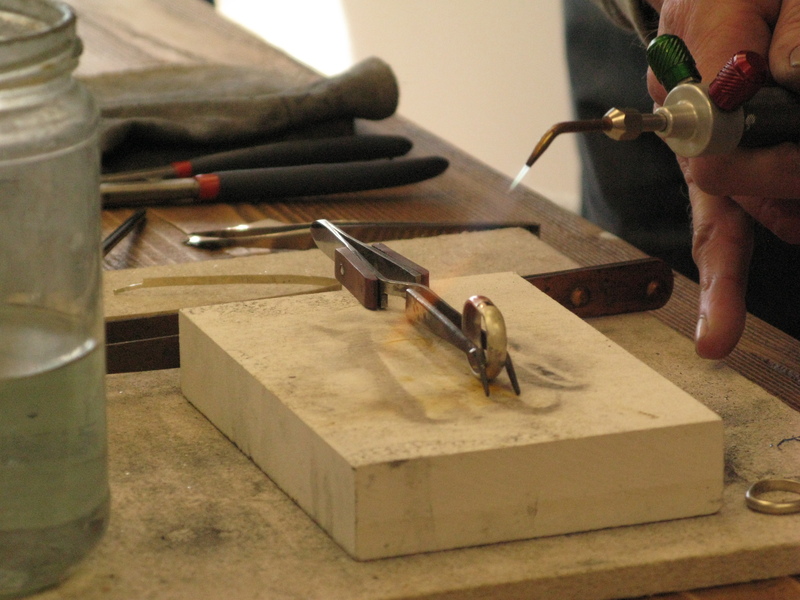 How often do you hold the wedding ring making experiences? We offer them every weekday and every Saturday – just contact us to talk about dates and discuss availability options. Saturdays can get booked up very quickly. The materials (not including the metals) to make your rings, the boxes, luxury lunch, photographs and a bottle of champagne, are all included in the price. You will have exclusive use of our studio on the day and the dedicated services of our expert jewellers. What kind of rings can we make? We can help you make silver rings, gold, including yellow, white and rose gold in a variety of carats, platinum or palladium. If you want to have stones set into your ring we can also arrange for that service to be carried out after you have made the basic band – this will incur an extra charge for the stones and will require extra time as well. If you would like to make your rings out of platinum or palladium, as these are such strong metals. 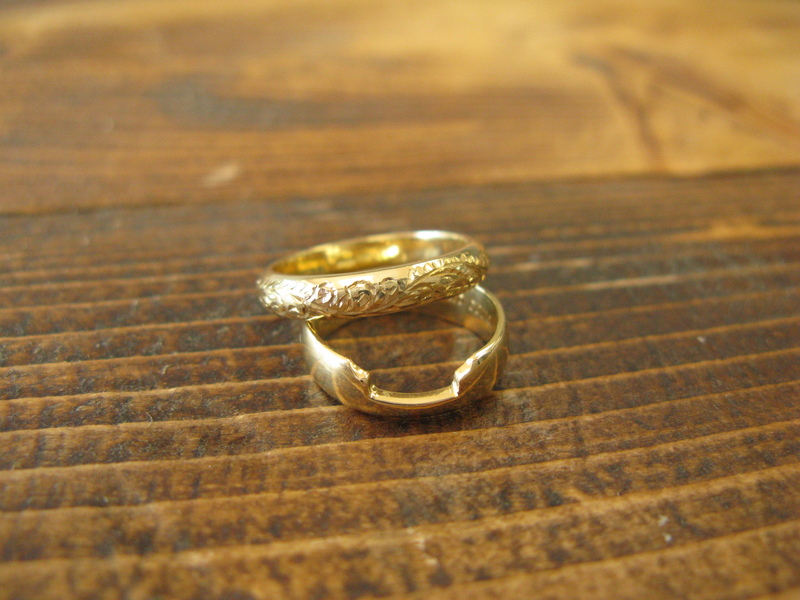 You will make your rings out of silver - these will then be cast in platinum or palladium for you. What details do you need to know for us to book? 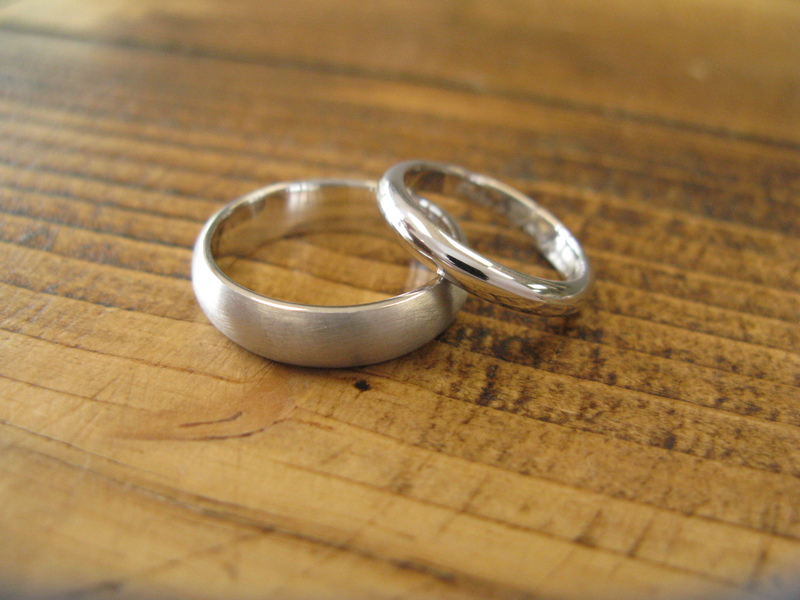 We can have a discussion over the phone or email, but we will need to know the kind of metal you want to use, what shape ring you wish to make, and your finger sizes but we can help guide you with all of that as part of an initial consultation. The full balance and design details of the rings you are wanting to make, must be confirmed and paid for no later than 2 weeks before you join us. This allows us enough time to make the arrangements with our bullion supplier. Can we get our rings resized after we have made them? Hopefully your rings will fit perfectly as you will have handmade them to fit, but if they should need resizing the please do get back in touch with us and we’d be happy to sort that out for you. Can I use stones from an old sentimental ring, in my wedding ring? I have an unusual shaped engagement ring – can I make a wedding ring to fit? Yes - but there are limitations so please call us to discuss your requirements before making the booking.